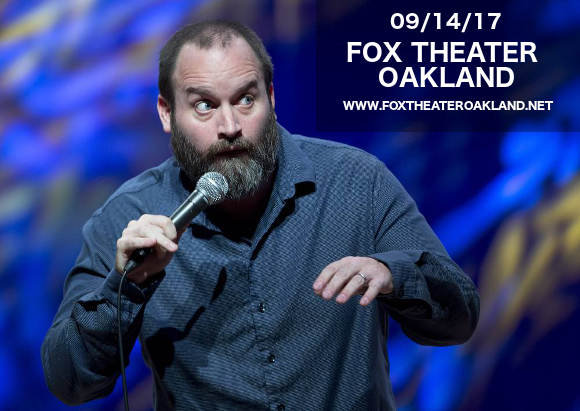 Get ready for a night of unmissable comedy – the brilliant Tom Segura is coming to Fox Theater Oakland on Thursday 14th September 2017 for one unmissable night! Tickets are already flying as we get closer and closer to the LIVE event – so what are you waiting for? Grab yours today! Having performed live stand-up on various shows including “Live at Gotham,” “BET's Comicview” and “CONAN,” Tom Segura is today probably best known for his hilarious podcast “Your Mom’s House,” co-hosted with his wife and fellow comedian, Christina Pazsitzky. After delighting audiences at the Oddball Comedy and Curiosity Festival, Tom Segura announced his 2017 tour, entitled No Teeth, No Entry. Don’t miss out on this comedic legend’s performance at the Fox Theater Oakland – book your tickets NOW while they last! !